The Teen Economists: Will Scotland make history? On 18 September, voters in Scotland will be asked in a referendum whether they want the nation to become independent from the rest of the United Kingdom. The reason behind the willingness to take Scotland's destiny into Scottish hands was the landslide victory of The Scottish National Party in the 2011 Scottish Parliament election. Independence is a main goal of this party. An agreement was signed on 15 October 2012 by the Prime Minister of the United Kingdom, David Cameron, and the First Minister of Scotland, Alex Salmond, which provides a legal framework for the referendum to be held. 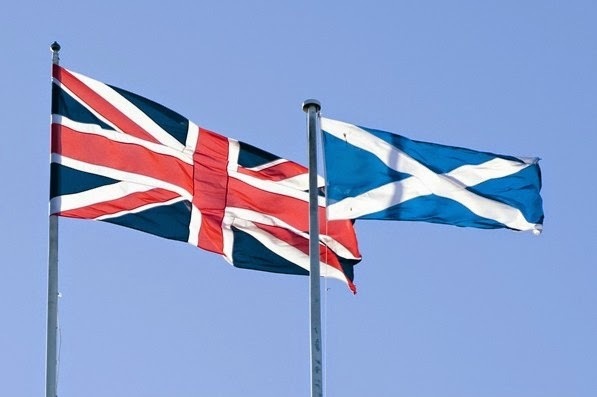 The referendum question will say: "Should Scotland be an independent country?" The principal issues in the referendum are the economic strength of Scotland, defence arrangements, continued relations with the UK, and membership of supranational organisations, particularly the European Union and NATO. One of the reason why Scotland wants to be an independent country is that Scotland sees itself as currently heading in a different political direction from the rest of the UK. This is because Scotland is represented to the world by the Conservative party which it has rejected for years. Moreover, Scottish people argue that Britain is founded on extremely undemocratic ideologies. For example, 26 seats in the House of Lords are taken up by bishops purely because they're members of the Church of England. The Scottish parliament has a much more democratic system, which does not reserve places for church members and uses a proportional electoral system for appointing members of parliament. Becoming independent would therefore arguably be a step for democracy. Furthermore, many laws which are enforced in Scotland are decided and passed in England, and are intended primarily for England without much consideration for the Scottish people. For example, the winter allowance for pensioners in Scotland is the same as it is in England, despite the much colder and harsher climate which exists in Scotland. On the other hand, Scottish Parliament has many devolved powers given by The Scotland Act 1998 and The Scotland Act 2012, therefore Scotland already has some freedom to make political decision about important issues, for example: education and training, environment, health and social services, housing, law and order, tourism and economic development, and many aspects of transport. This shows that it is not fair to say that Westminster has a supreme control over Scotland. In terms of the House of Lords, many people actually find this part of Parliament very useful because Lords and bishops are able to share their expertise in their fields as well as ensure checks and balances in government. They do not pose any veto power, so do not necessarily threaten the UK. Another argument in favour of independent Scotland is that it could result in a much stronger Scottish economy. Scotland owns huge shares in oil, which it wouldn't have to split if Scotland becomes independent. However, there has been speculation over how Scotland will survive if the country will no longer have access to the British "money pot". Many people say that going independent is an extremely large economic gamble, especially in the light of the latest recession and unemployment. Moreover, Britain owes very large debts to foreign countries, which Scotland is partly responsible for. In becoming independent Scotland would have to negotiate which debts it is responsible for and how much to pay. Scotland has been so closely tied to the rest of Britain that this would be a very difficult process and would take several years. For the past few days I was looking for the best and easiest way to explain these arguments, but what I found is just too funny, too amazing and too amusing to try go beyond that. You might also be interested in the two main campaigns: Yes Scotland and Better Together. DO NOT FORGET TO VOTE IN OUR POLL ! JUST SCROLL DOWN TO THE BOTTOM OF OUR BLOG !!! Great article! I voted 'no' in your poll and am so glad that Scotland decided the same :) Thanks for the link to the United Queendom videos - they were absolutely hilarious as well as being informative!